Summer Camp is right around the corner. Do you have everything your child needs to have the Best Summer Ever? If not, don’t worry, we’ve made a list of things your child should bring! This is one of the most important things to bring to camp. 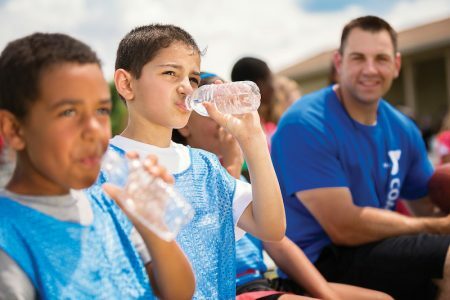 On hot summer days, when your child is running around, they’re going to need to hydrate, hydrate, hydrate! It also helps to label your child’s water bottle (in addition to everything else they bring). They’re easy to lose track of and they often look the same, so it’s easiest to have it labeled! Sneakers are much more versatile and reliable than flip flops. We’ll be outside as much as possible and flip flops can become problematic. Sneakers will protect your child’s feet all summer long! We will be outside in the sun, but we want to ensure your child is protected. Be sure to pack sunscreen. Spray sunscreens are typically easier to apply through the hustle and bustle of the day, but whatever you bring, be sure it’s SPF 30 or above! Pack everything in a durable bag to hold all of your child’s belongings. It should be big enough to hold an extra set of clothes, sweatshirt, rain jacket, and a swimsuit (if applicable), but not too big that it takes up too much space. Also be sure to label your child’s backpack as it’s easy to mix up bags. Luggage tags work exceptionally well! We ask that you bring lunches and snack, preferably ones that don’t need to be refrigerated. Also, check with your Camp Director on any food allergies—we often ask that you bring peanut free foods. Check out our blog on stress free lunches to bring to camp! 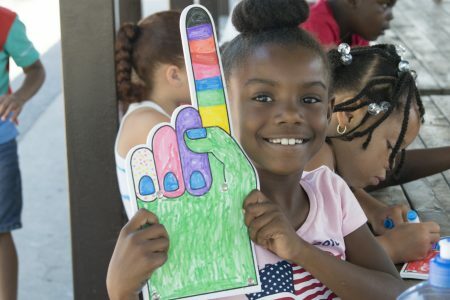 Summer Camp is about meeting new people and trying new things. Come with an open mind and prepare for the Best Summer Ever! Click here to download your camp welcome packet.